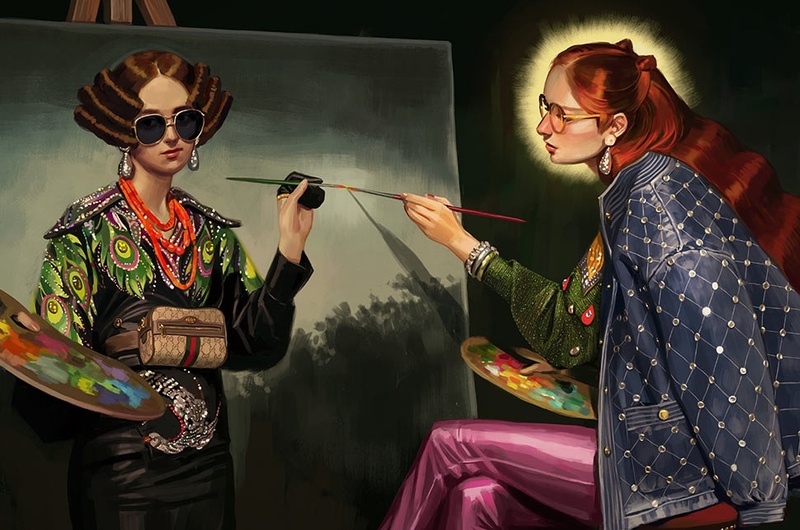 Creative director Alessandro Michele created an imaginative campaign featuring his signature delirious mix of eclectic, mismatched pieces trimmed with sequins, ribbons, pearls and brocade. 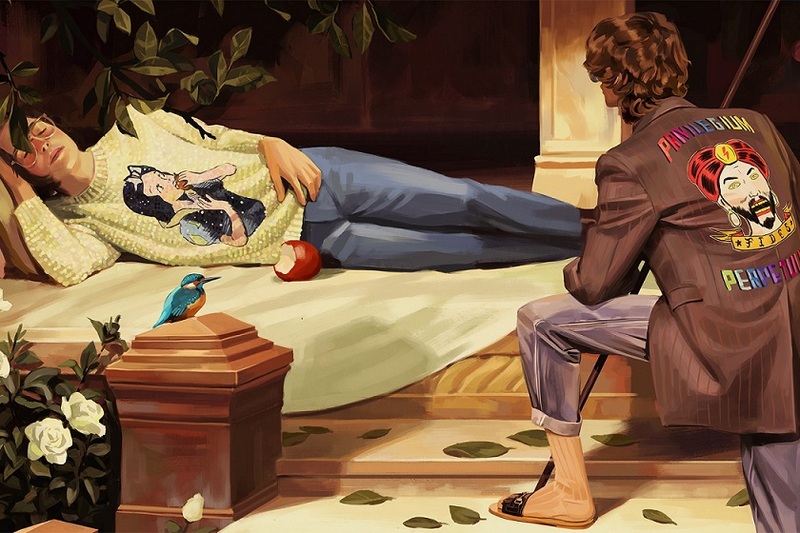 Inspired by the Old Masters, Michele hired Spanish artist Ignasi Monreal, who produced digital paintings on his computer depicted in Renaissance-style portraiture. 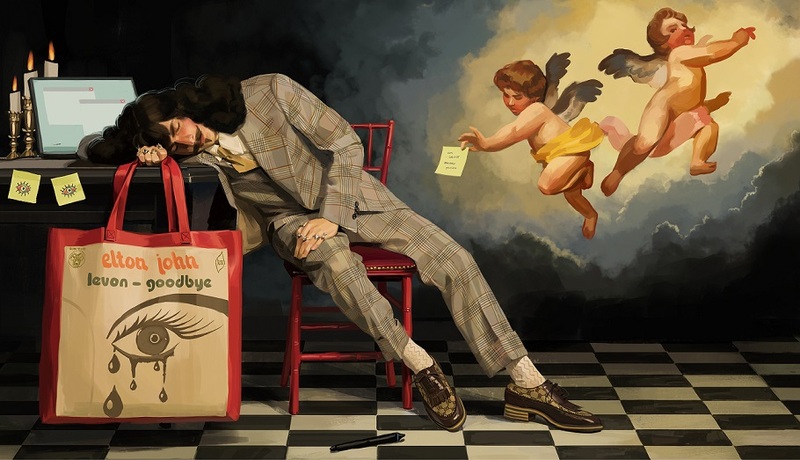 ‘I wanted to use the opportunity to create a kind of love letter dedicated to the paintings themselves, to the big masters and the works that we love’, the 27-year-old Spanish artist was quoted saying. Borrowing from classics, one of his artworks portrays Ophelia by Sir John Everett Millais (1829-1896) where he illustrated a story from Shakespeare’s Hamlet depicting Ophelia floating in a stream before being drowned by the weight of her heavy dress. 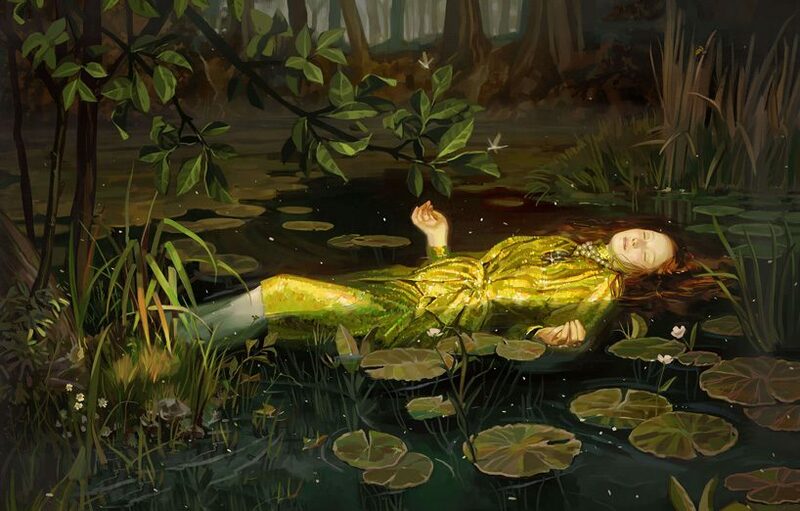 The new Gucci version has a happy ending, however — the gold-sequinned heroine is lifted from the water by Monreal, who wears a Gucci suit. 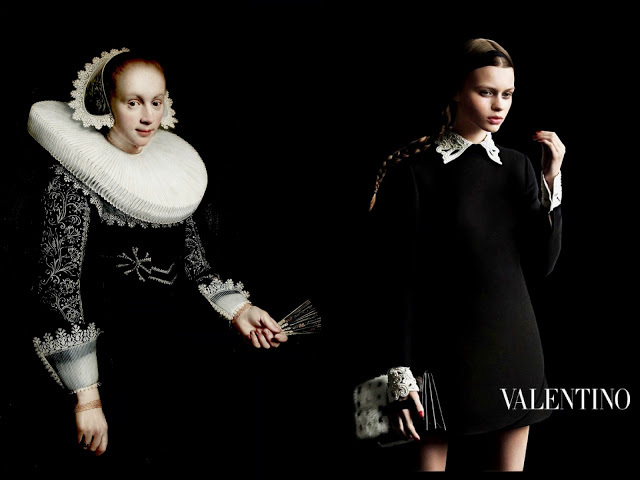 One of the most striking campaigns of Fall 2013 was that of Maison Valentino, inspired by the Dutch artworks of the golden age. 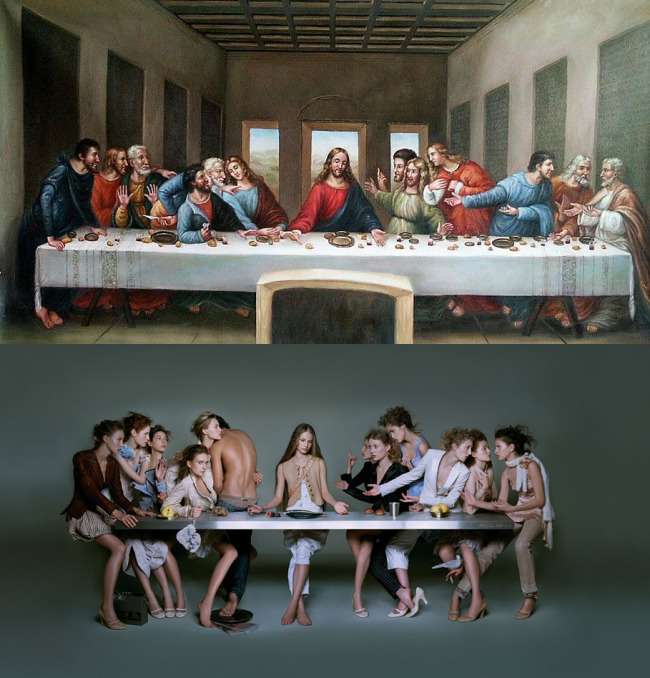 Photographer couple Inez van Lamsweerde and Vinoodh Matadin shot the campaign and had the models pose in a demure, modest manner, in accordance with the period. 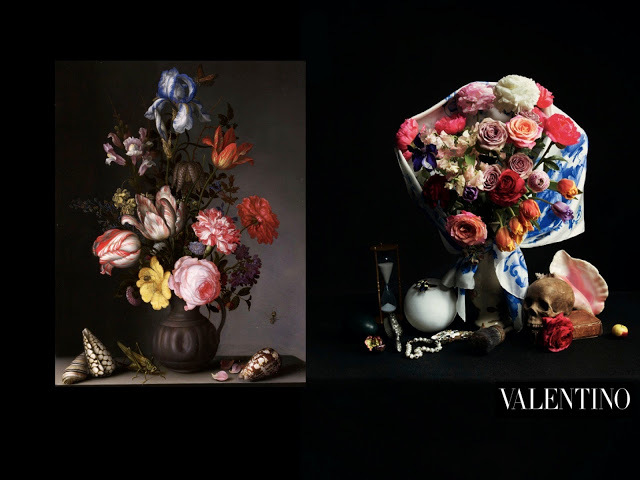 Additionally, they created still-life images that reflected the Flemish style, focusing on the flowers, shells and insects that are reminiscent of that period. 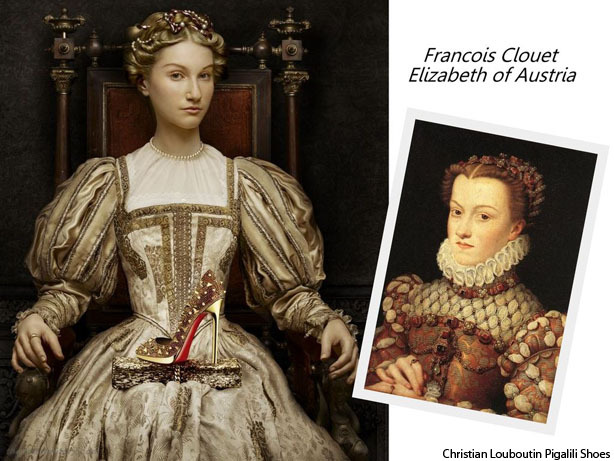 For the brand’s Fall 2011 campaign, the designer went back to the Renaissance period and drawing inspiration from the portraits of famous women, reimagined these masterpieces with contemporary models. 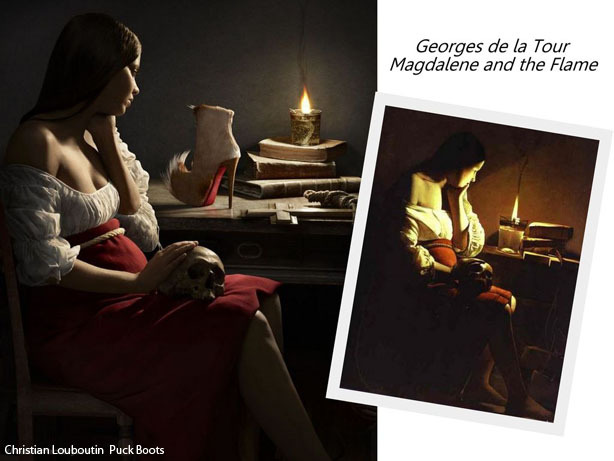 Take, for example, Georges De La Tour’s popular Magdalene and the Flame which paints a woman seated at a desk gazing pensively at a flickering candle while stroking a skull. 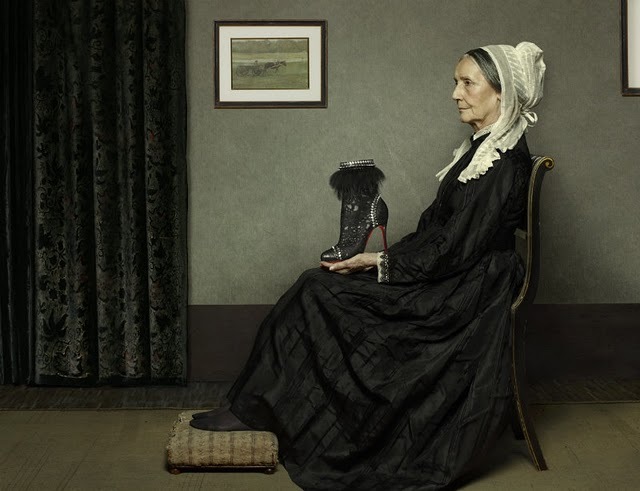 In Louboutin’s version, a gorgeous shoe has been placed in the lady’s line of vision to make it seem like she is peering at the sublime footwear. 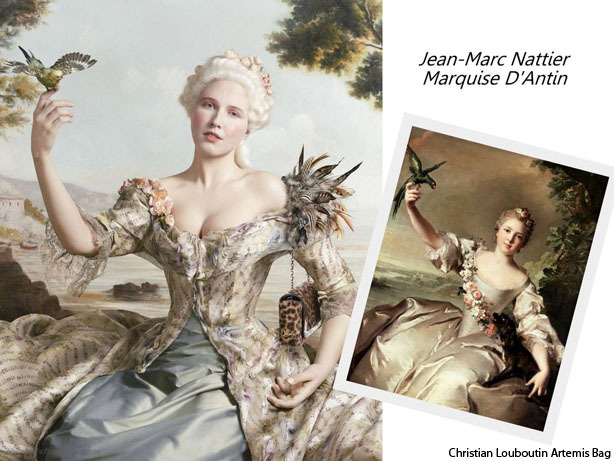 Ditto for Jean-Marc Nattier’s Marquise D’Antin which depicts a Victorian dame in a bustle dress balancing a petite bird on one of her fingers. Again, her outstretched arm deftly accommodates a leopard print clutch that looks as if it had always been a part of the painting.